My science fiction and fantasy tends to have theological or spiritual angles, and this post is no different. 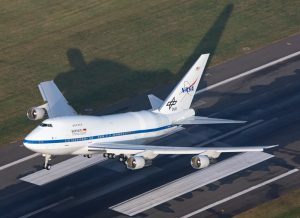 This is the Stratospheric Observatory for Infrared Astronomy—a retired jetliner modified to carry an astronomical telescope. Originally built to service what the airline industry calls “long, thin routes”—ultra-long-range segments that attract relatively few passengers per week, the airplane is a specially shortened version of the ubiquitous Boeing 747. It was built for Pan Am and christened Clipper Lindbergh by none other than Anne Lindbergh on the 50th anniversary of Charles Lindbergh’s takeoff, destination Paris. After service with Pan Am and United Airlines, the future airborne observatory was retired to a desert boneyard to await her date with the scrapper’s torch—but fate intervened. In 2008, after restoration, modification, and the installation of a German-designed and -built infrared telescope, the reborn aircraft was again christened Clipper Lindbergh on the 80th anniversary of Charles Lindbergh’s arrival in Paris, this time by Erik Lindbergh. 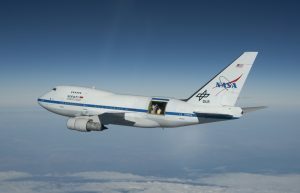 SOFIA is jointly funded by NASA and DLR, Germany’s national aeronautical and space research agency. Here you can see SOFIA in flight with the telescope port fully open. The reason for lofting the telescope to the base of the stratosphere is that water vapor strongly absorbs the infrared frequencies of greatest interest to astronomers, and by flying at 39,000-45,000 feet above sea level the observatory eliminates 99% of the atmospheric water vapor between the telescope and the celestial objects under study. At the center of most, perhaps all, galaxies there is a supergiant black hole. Some are quiescent and some are quite active, and observations recently made by SOFIA enabled astronomers for the first time to calculate the median size of the dust particles being drawn into the active black holes; it turns out that they’re about the size of sand grains. But where do these dust particles come from? Most of the universe consists of hydrogen and helium, not the more complex atoms that fill out the periodic table and make life interesting—and possible. It’s now generally known that the complex atoms are thrown, like grains of rice at a celestial wedding, across the galaxies by novas and supernovas. 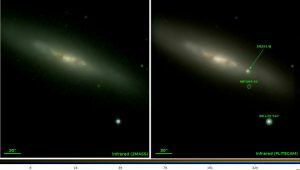 Here’s SOFIA’s “before and after” portrait of supernova 2014J, the 10th supernova discovered in 2014, nestled in its galaxy. At one time supernovas were believed to be simply more dramatic novas, but the more recent understanding is that they result from very different processes; in fact, they’re quite distinct. Their gifts to the universe are, likewise, quite distinct. 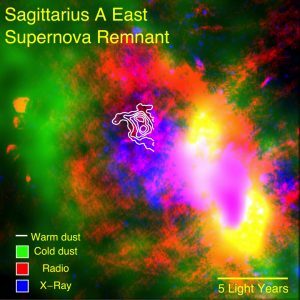 Supernovas provide us with the heavier elements that are the building blocks of the cores of rocky planets—and a single supernova can produce enough dust to form 7,000 Earths. Novas, by contrast, provide us with the middleweight atoms—the ones that are essential to all life as we know it. Belief systems the world over are fond of telling us of one deity or another dying that we may live and be redeemed. We now know they’re almost right about this after all: let us reflect that stars died that we might live and that we might have a world on which to live . . . and that, in a very real sense, we and our Earth are, indeed, heavenly. I wrote mountain wave into my novel Downfall Tide without having experienced it until very recently. 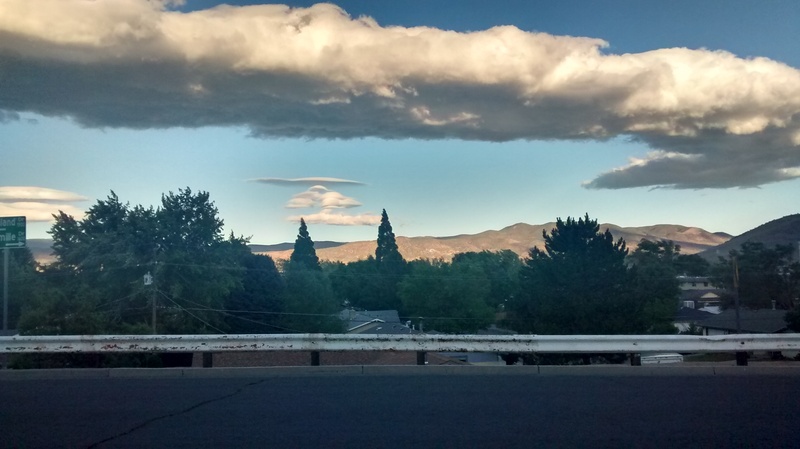 That was at SoaringNV in Minden, Nevada. 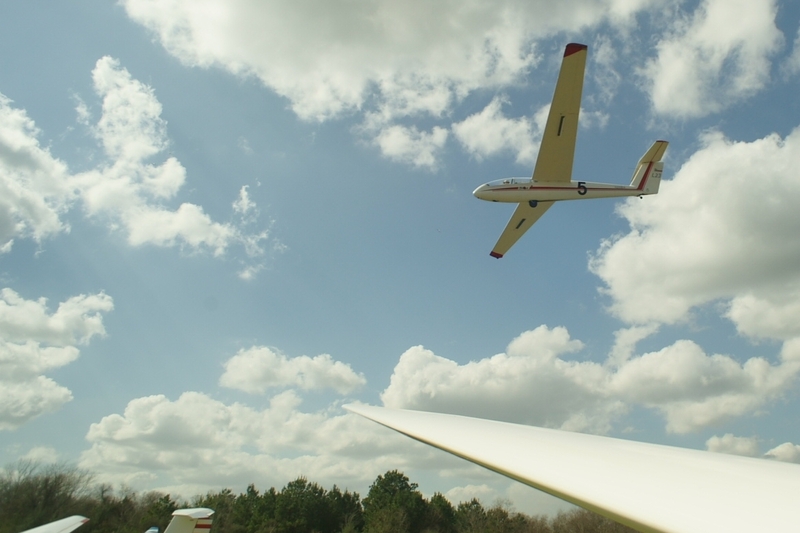 Because of wave and strong soaring conditions generally Minden is one of the premier soaring sites in the world. Still I was lucky to be there when there was wave. 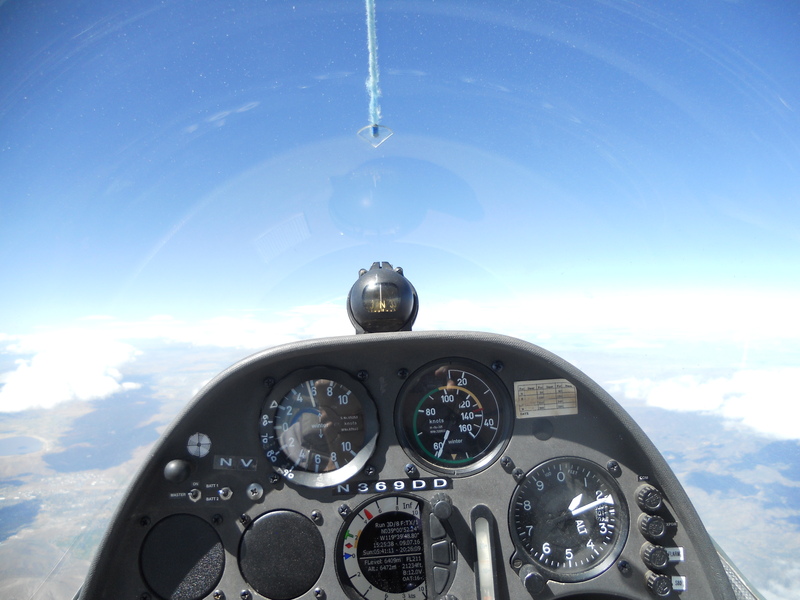 21,200′ high in a Duo Discus sailplane – with instructor Elizabeth Tattersall. Lennies in Carson City the night before. YesterdayI was flying back from Washington DC and having much less tolerance than usual for being cooped up in an airliner. Meanwhile we were vectored so far around storms in the Northeast that it was necessary to land in Little Rock for more fuel! I heartily commend the caution that gives storms a wide berth, but Lord, I was glad to get out of that jet in Houston. Then I couldn’t find the baggage carousel to pick up my bag, until I realized that the carousel’s electronic signage said Continental Flight 1757 from *Little Rock. * Oh. 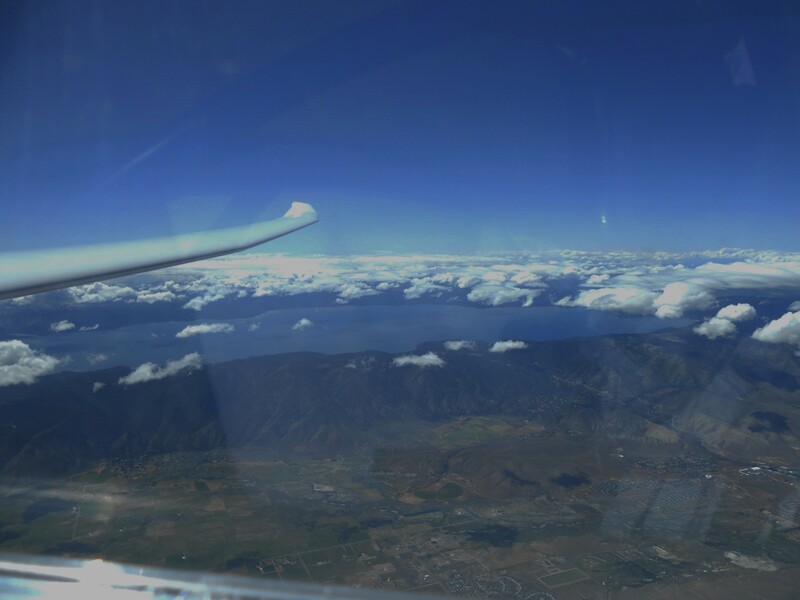 Aviation is full of aphorisms and acronyms meant to nudge busy brains in the right direction, and most of these are applicable to other activities in life. “Know Before You Go” is a good rule for flying and driving too: it’s always best to study the driving directions to your destination before wandering around on strange streets, and that goes double if your route takes you within a turn or two of a bad part of town. The acronym HALT is another good thing to keep in mind generally. 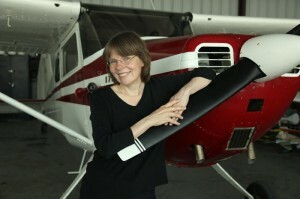 If you’re Hungry (or deHydrated), Agitated, iLL, or Tired, don’t go flying. Don’t fly into an argument with a loved one either. Fix HALT problems first. Yesterday I heard an aviation aphorism that isn’t generally applicable. “Eat the carrot.” Say what? Well, a windsock is usually a long orange cone. The pointy end points the way the wind is blowing. When you take off or land you should roll into the wind with the pointy end of the local wind sock pointing at you as you roll by. And everybody eats carrots starting with the tender tip. So always make sure to eat the carrot. It’s silly, easy to remember, and a hell of a lot better than inadvertently making a downwind takeoff or landing and wrecking the aircraft-! 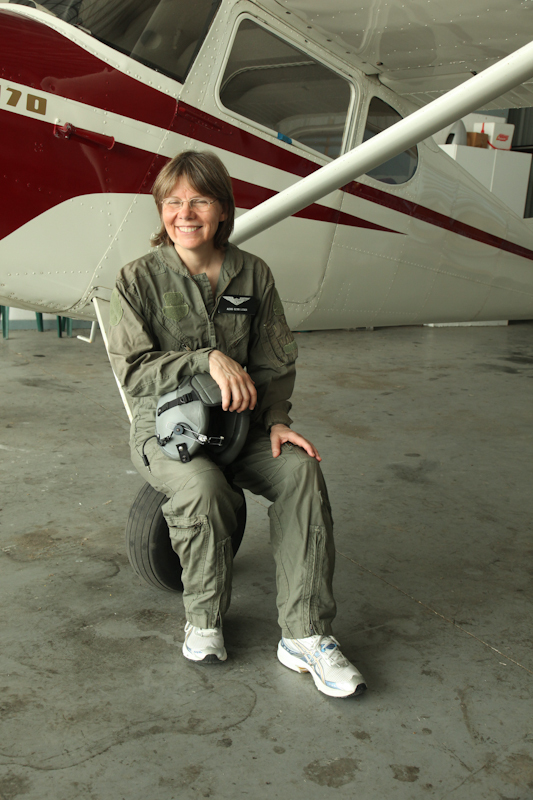 When John Cross of jCross Photography recently did PR pictures for me, he had this idea about posing a woman in a flight suit with his Cessna 170. I said sure why not. 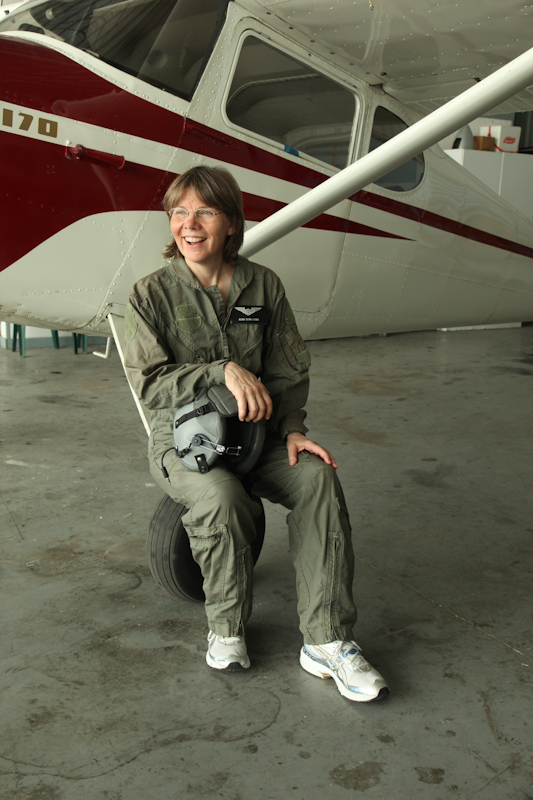 Out of the drawer came said flight suit. He snapped pictures with great glee. In my experience, there’s never a dull moment around pilots!